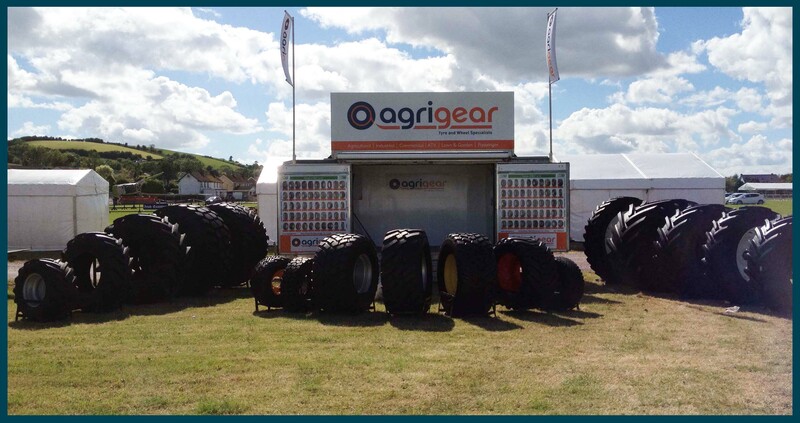 Agrigear, the tyre and wheel specialist, stocks an extensive range of agricultural grassland implement tyres as well as a large range of lawn, garden, golf and turf tyres. 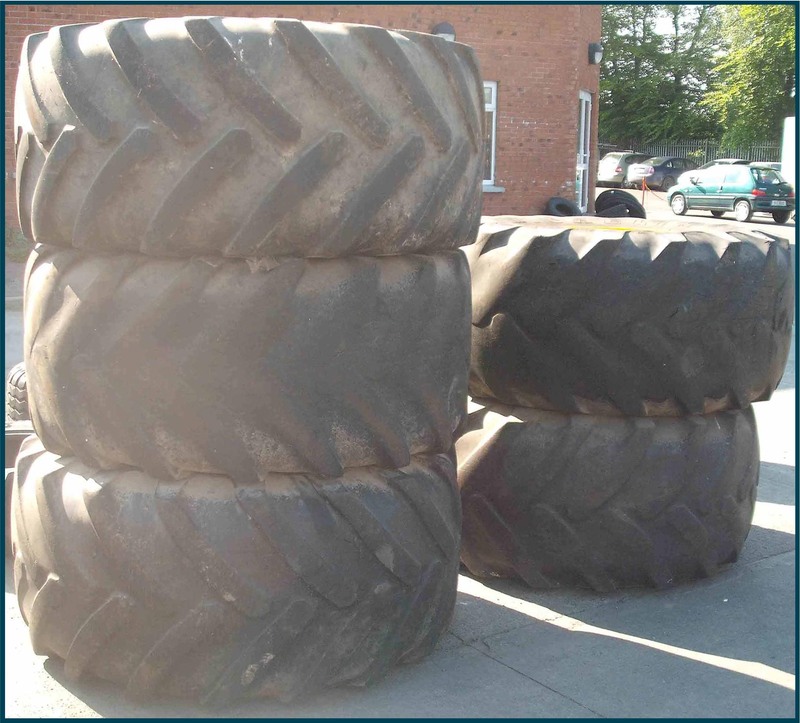 Manufactured by BKT, these tyres are available in many sizes and in various tread pattern structures such as ribbed, smooth, traction, block pattern and flotation. 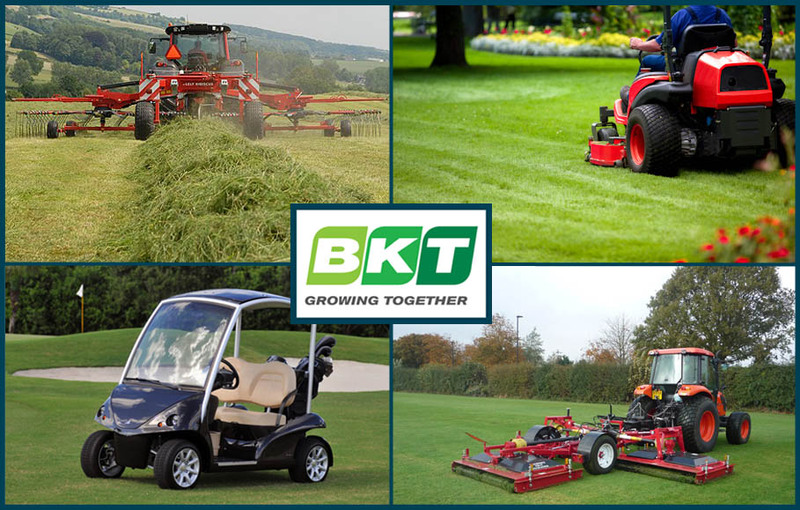 From agricultural implement machinery to the family ride-on lawn mower to the professional golf course green-keeping equipment, Agrigear offers tyre and wheel solutions designed to suit both grassland and horticultural machinery as well as for turf-care and grounds care equipment. Agrigear also offers a complete wheel modification service. Some of the jobs recently completed at Agrigear include a 1-tonne dumper with 6” wide tractor tyres which was modified and fitted with 13” wide grass tyres for working on golf courses and football pitches; wider tyres ensuring less soil compaction. In another case, an agricultural New Holland tractor used for golf course grounds care (pictured right) was converted whereby the existing turf wheels were modified and fitted with traction tyres. 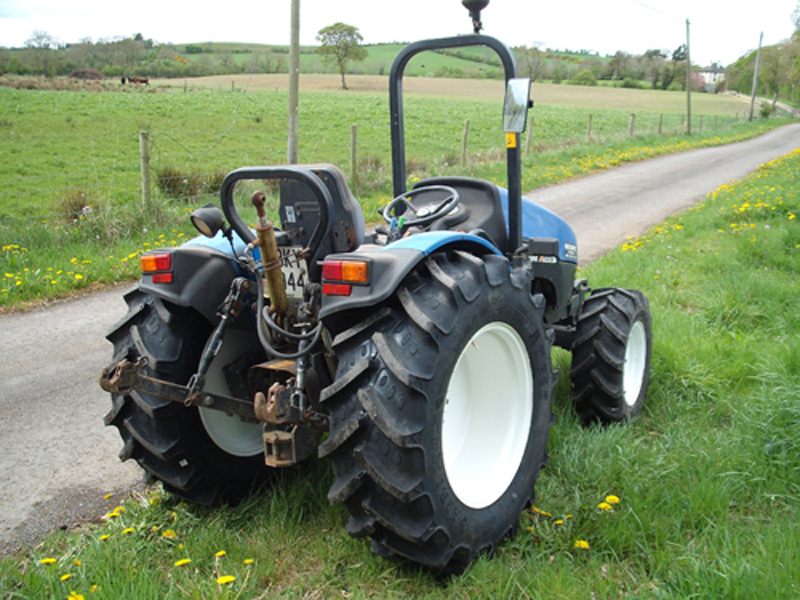 In another case, a front mounted ride-on lawnmower originally fitted with turf tyres was converted to tractor grip tyres to overcome the problem of sliding on inclines and hills. Whether you are looking to buy tyres for an agricultural machine, lawn and garden tyres for domestic use or puncture resistant turf tyres for local clubs and grounds care contractors, we can supply; contact Agrigear on (042) 9666444 for advice or a quotation. You can also visit www.agrigear.ie for more information about the extensive range of tyres available at Agrigear. Developed for modern harvesting equipment and for grassland machinery, the Agrimax RT-600 is a radial tyre with a high load carrying capacity. This tyre is also ideally suitable for 2,000-3,000 gallon slurry tankers. Its lower tread depth and increased number of lugs reduce and distribute the ground pressure uniformly throughout the contact area, therefore protecting grass and soft soil from damage. 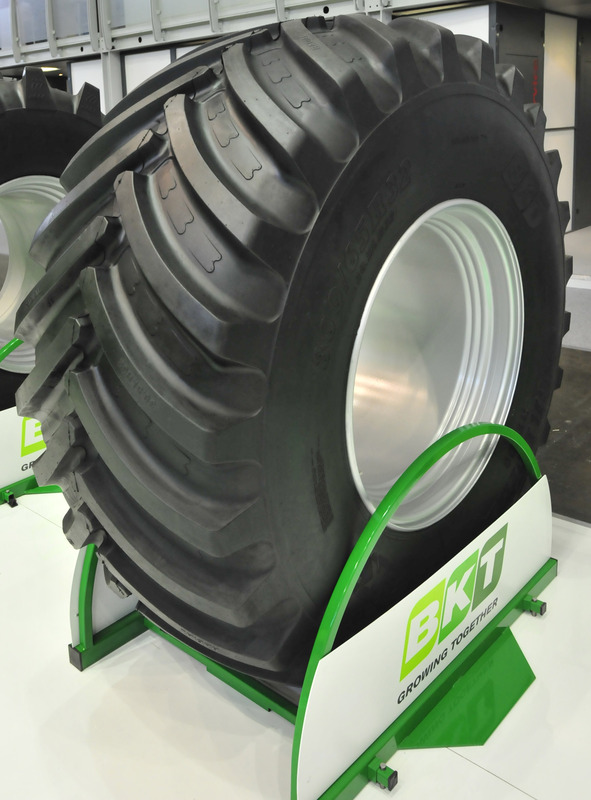 The Agrimax RT-600 tyre is manufactured in size 800/65R32 (30.5LR32) and will be available in Ireland in August 2013. 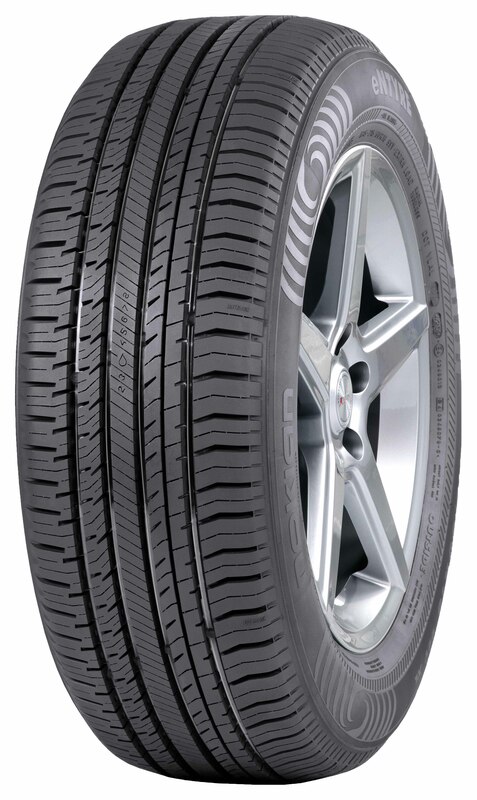 For more information about this new tyre, click here. Second-hand and 'as new' stock items are being continuously added to the Agrigear website each week. Items can be bought as wheels complete (rims+tyres) or tyres only. Contact Michael or Jack at Agrigear on (042) 9666444 for more information. SIDEWALL MARKINGS ON YOUR CAR, VAN OR 4X4 TYRES - WHAT DOES THIS INFORMATION MEAN? 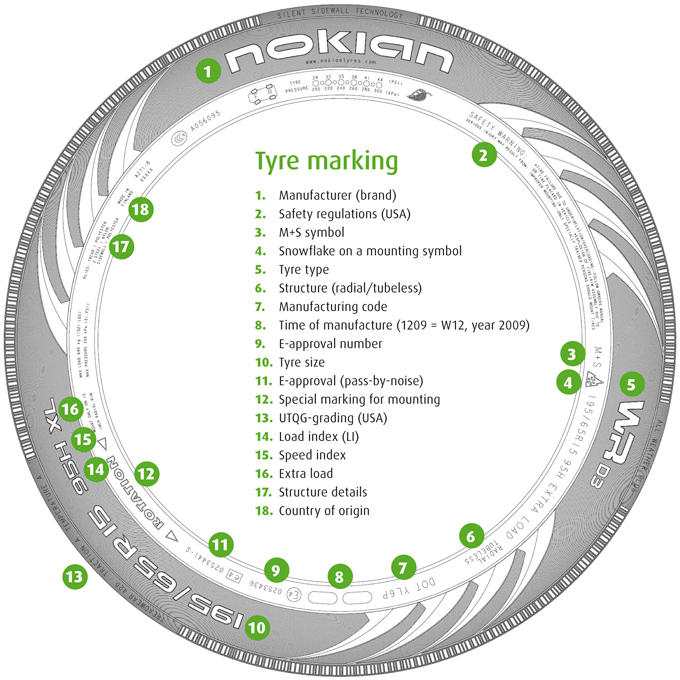 Click here to enlarge and print above Sidewall Markings diagram.